Laura Levitan of Mod L Photography specializes in creative maternity pictures for pregnant clients and follows them through to capture newborn portraits as well as baby milestones. As a way to provide an extra service to her clients, Laura interviews and features businesses who serve expectant and young families in the Dallas Fort Worth area. Follow the blog to stay up to date on all things within the birthing community in Dallas. how did you get started in fertility acupuncture? I began as an intern for an established fertility acupuncture practice in 2004. That experience really helped shape and support my idea of where I wanted to take my practice. Working with them I moved to Dallas to open and direct 2 acupuncture clinics. In 2012 I decided it was time to go out on my own. 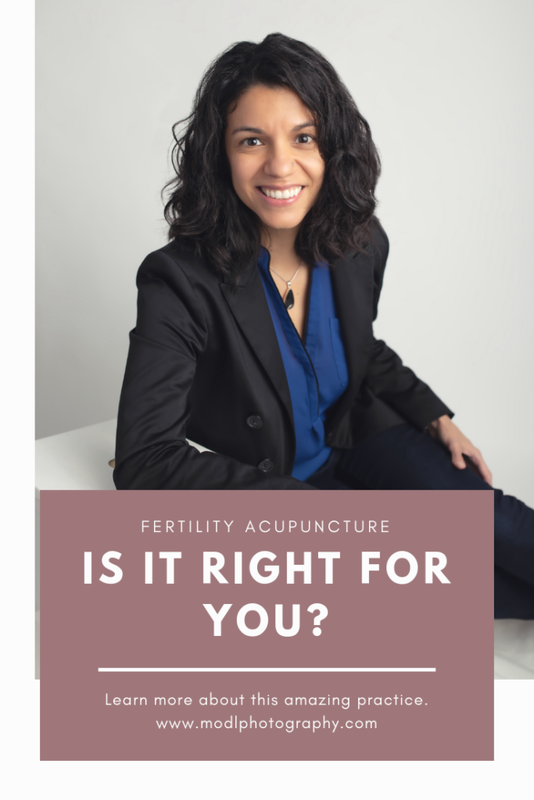 Having the foundation of working with this practice gave me the confidence and experience to continue in this field of fertility acupuncture and I love it. I continue to grow and educate myself so I can continue to provide top of the line care for my patients and be informed by the most recent research coming out of our medicine. What are your main areas of focus in your acupuncture practice? Stress is a huge one, educating patients on proper hydration and nutrition. I show my acupuncture and fertility acupuncture patients ways to implement simplicity in their life. This helps them switch off the constant fight or flight stage we all seem to be living in. My main areas of expertise are; irregular menses, PMS, peri and post menopause, infertility, headaches, and digestive issues. I enjoy helping with the “hormone havoc”. What is your mission in your fertility acupuncture practice? To change how we look at preconception and postpartum care. Proper preparation can lead to healthier, smarter babies and a better outcome for maternal postpartum recovery on a physical, mental, and emotional level. What would you say is your biggest accomplishment since you started the Acupuncture Juncture? I believe I’ve been able to establish myself as one of the premier fertility acupuncturists in Dallas. However, I have much bigger goals on the horizon. As a result, I will be adding online diet and nutritional counseling that is based on blood and genetic testing. Lots more to come in 2019! What has been the biggest struggle since you began the Acupuncture Juncture? Finding and maintaining the ever elusive work\life balance. My nature is to try to help – always. I’ve learned over the years (sometimes the same lesson multiple times in different ways) that in order for me to provide the level of care my patients deserve, I need to take better care of myself even though sometimes it may feel like I am being selfish. If you could tell people one thing about your fertility acupuncture practice what would it be? My practice is a place for people to truly unload and relax. It’s a space of trust and non-judgment where you can learn how to help yourself be a healthier you. Emily began her professional career by attending the prestigious AOMA Graduate School of Integrative Medicine where she earned her Master’s degree in Oriental Medicine and Acupuncture. 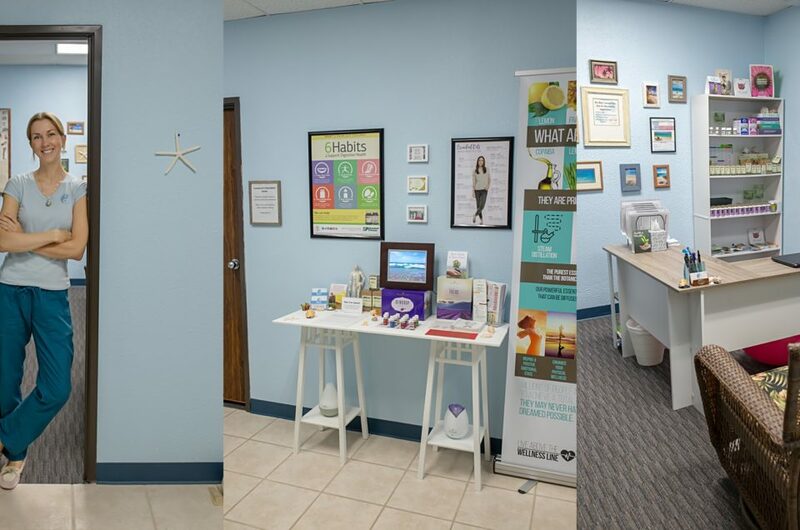 While in school she began an internship at The Texas Center for Reproductive Acupuncture (TCRA) during which she had the opportunity to study under Kirsten Hurder-Karchmer, whose innovative leadership in fertility acupuncture stoked Emily’s passion for helping couples. Through her extensive experience, Emily has recognized how the impact of nutrition, digestion, stress, and lifestyle choices can have on our overall health and works to gently encourage nature’s intent by improving each of these areas. Her goal which each patient is to provide excellence in care as she continues to build on her education in this field to become a better resource for the families she works with. 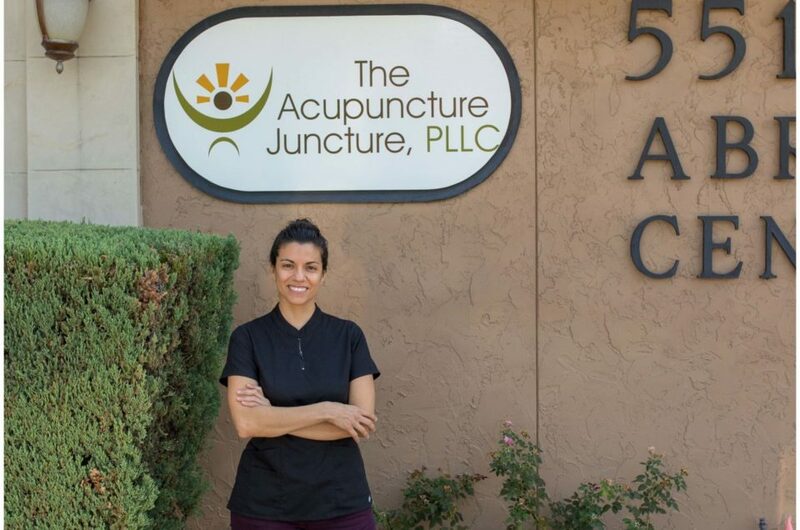 Now, the owner of The Acupuncture Juncture, she offers acupuncture and alternative healthcare options for those suffering from issues such as infertility, digestive disorders, pain, stress, migraines, and seasonal allergies. Her goal is to provide compassionate and effective treatments to her patients in a relaxing environment. She is excited to continue to provide safe, effective, and proven methods for treating infertility and allergies. If you are interested in learning more about how fertility acupuncture may be able to help, please give her a call. Where can you find Emily? What an amazing way to support mamas and families! This is absolutely awesome. All this information is so helpful! You set yourself apart as a Dallas newborn photographer by offering your clients so much more! I haven’t heard of this! Sounds amazing. How interesting! Nice images too! I love this idea for your Dallas maternity clients!! When I was pregnant I wish that I had you as my photographer! Wow, this is amazing info! I never knew anything like this existed. Such a helpful resource. I struggle with infertility and will have to check acupuncture out next time. WOW this is really amazing information. I am going to share this with my friends. Amazing resource and informations. Thanks for sharing. WOW this is really amazing information. I am going to share this with my friends. What an awesome support for families!! I love the alternative methods for fertility! I can’t to share this info with a few mommas I know struggling. This is such a great blog! I love acupuncture and it can be amazing for some people. I love that you take care of your clients like this! Love all this information! And such a great service for clients for you to provide that information here for them! Your Dallas clients really benefit from all of your knowledge that you share as their photographer! I love this collaboration and everything you are doing to help mamas and babies! This is great info for your Dallas newborn clients! They luck out having you as their photographer! This sounds amazing! I wish someone would offer these series near me.